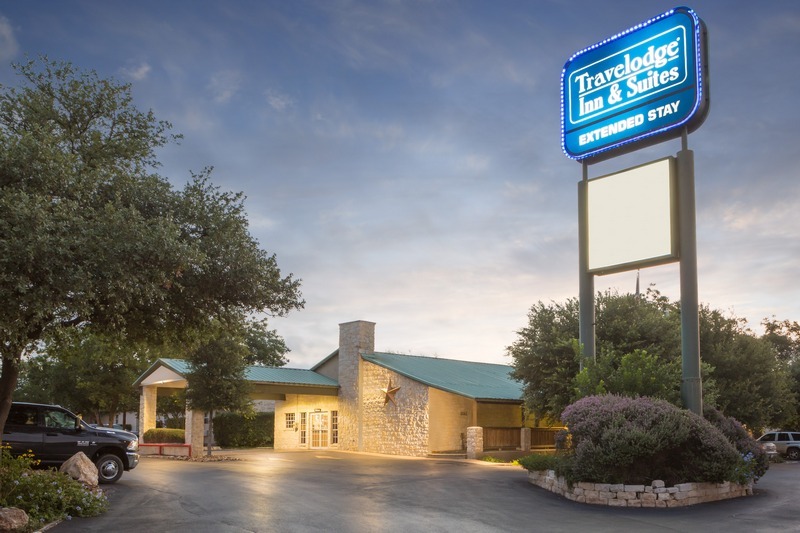 Travelodge Inn & Suites San Antonio Airport is a short drive away from Fort Sam Houston, Randolph AFB, and Brooks Army Medical Center. 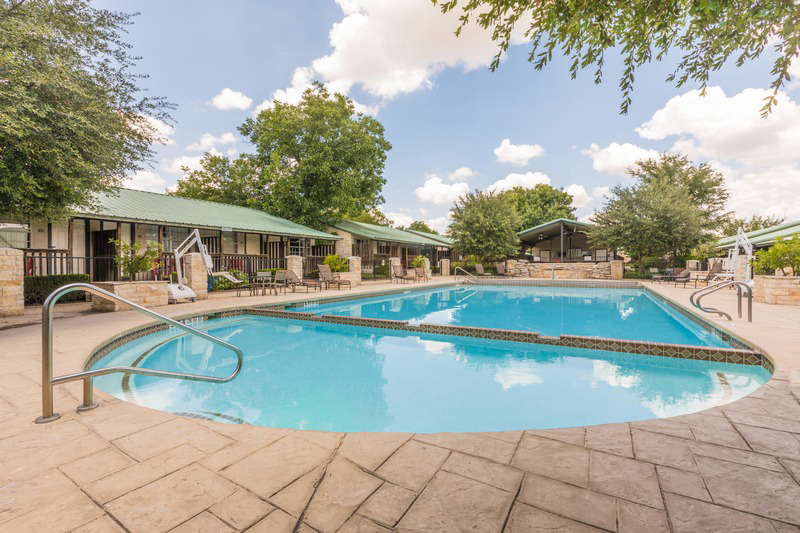 Book our extended stay rooms for short term relocation or temporary housing near Fort Sam and Randolph AFB! 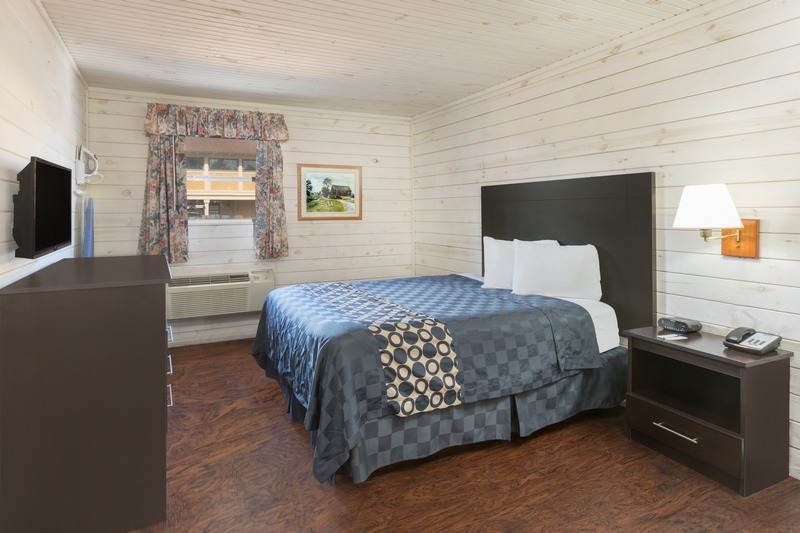 Rest and relaxation await those who room with us. 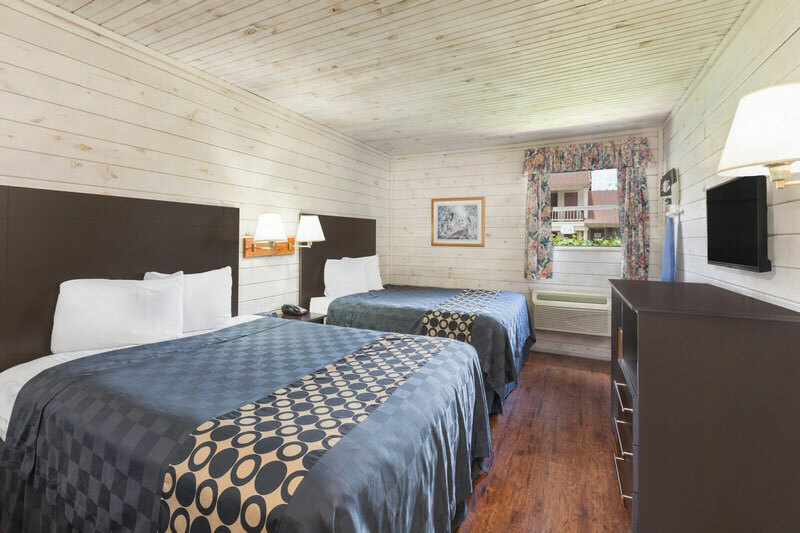 Choose from our rooms with king or double queen beds. 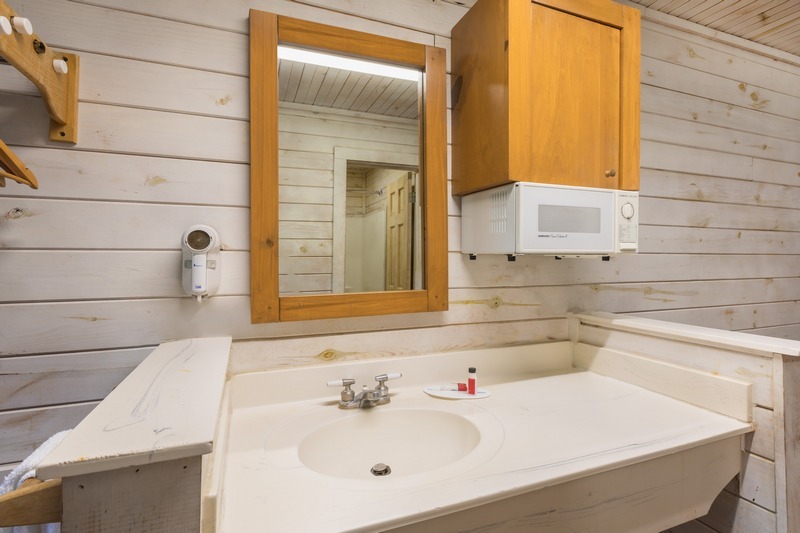 They are all outfitted with all the proper amenities including kitchenettes, microwaves, refrigerators, HD TVs and more. 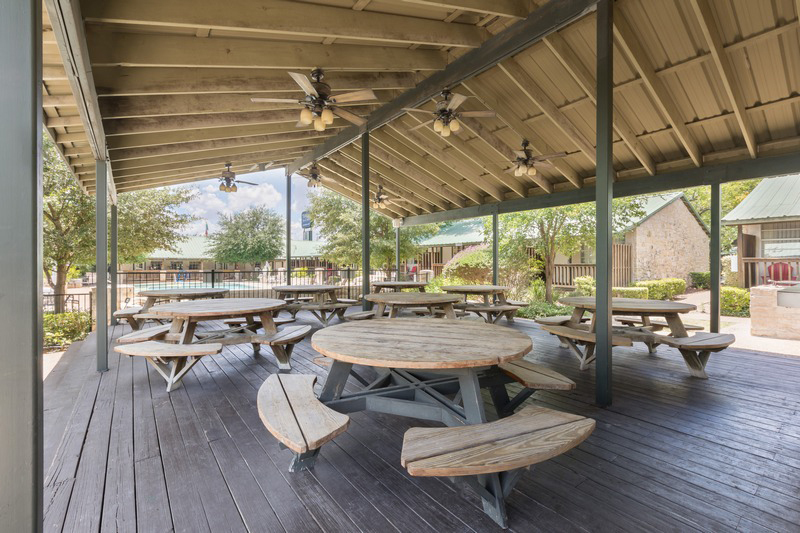 Our outdoor lodge style hotel allows you to have your very own patio outside your residence with space to relax and admire the surroundings. The area is generally peaceful and quiet and a refreshment from the busy city atmosphere. Ideal for temporary housing, relocation or just a retreat from the ordinary! Members of the Military, we thank you for your service. 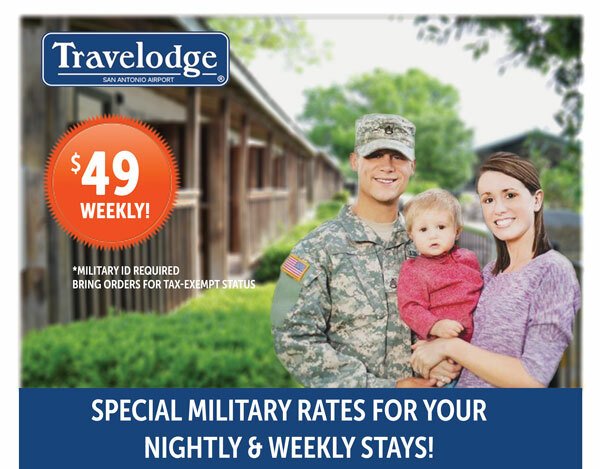 Book your room with us at our special military rates. For tax exempt status, bring your orders with you upon check-in. Contact us for more details or to reserve your room at Military rates listed!